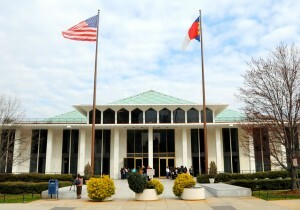 The North Carolina state budget isn’t the only thing on hold until House and Senate negotiators come to an agreement. Still awaiting action are a slew of environmental provisions scattered through a handful of bills that, like the budget, are likely to be settled this week in the hectic windup of this year’s short legislative session. Topping the list is coal ash legislation, which the state Senate plans to take up tonight (Monday). Both the Senate and the state House are in general agreement on the bulk of the bill, but some tweaks added last week by the House mean there are now more details to iron out. The Senate is expected to vote not to concur with the House version setting up a conference committee. While coal ash has been the environment-related focus of the session, there are several proposals still in progress affecting a broad range of environmental issues. While the legislature’s ongoing effort to reshape North Carolina’s regulatory powers has statewide impact, several parts of this year’s legislative effort could lead to significant changes for the state’s western region. It all depends on what ends up in the final bill, which has had a complicated journey so far. After passing the Senate in late May, Senate Bill 734, the Regulatory Reform Act of 2014 — a sweeping 65-page omnibus covering everything from to the lottery to animal waste — was turned into three separate bills by the House. In doing so, the House also heavily modified the environmental portion of the bill, stripping out one of its more controversial provisions — a massive reduction in the state’s fleet of air quality monitors. Environmental groups hailed the move but are keeping a close eye on the provision in case it re-emerges. It requires the state to eliminate air quality monitors that are not required to maintain federal air quality programs. A study by the N.C. Department of Environment and Natural Resources estimated that the provision would require elimination of dozens of monitors across the state, including several in Western North Carolina. An analysis of the DENR study and the bill’s requirements by the Southern Environmental Law Center estimated that the proposal would have eliminated 77 of the state’s 133 air quality monitors. 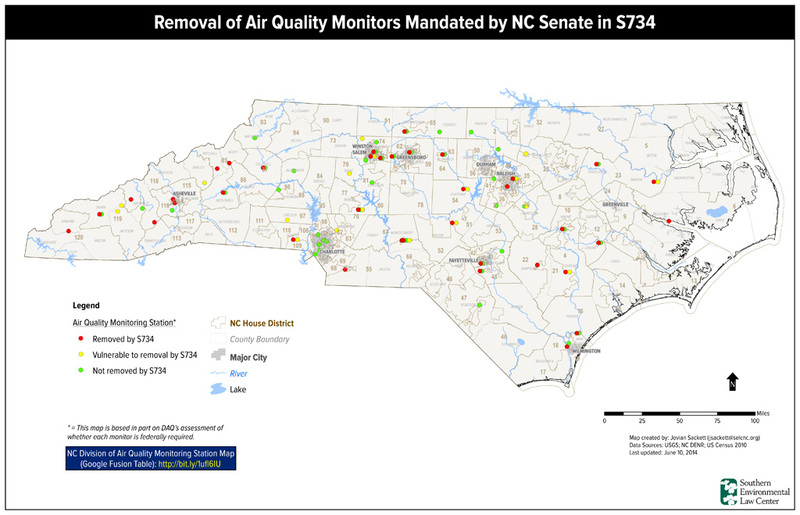 Included on DENR’s list of monitors that were slated for elimination were air toxics monitors near Asheville; ozone monitors in Canton, Waynesville and Graham County; and haze and other air quality monitors in Watauga County and a key site at Purchase Knob in Great Smoky Mountains National Park. June Blotnick, executive director of Clean Air Carolina, a statewide clean air advocacy group based in Charlotte, said she and others are remaining vigilant to make sure the provision eliminating the monitors doesn’t show back up. She said it is still a mystery where the idea came from since it wasn’t proposed in any recent study committees. During debate over the omnibus bill in the Senate, sponsors gave the proposal little time. Sen. Trudy Wade, R-Guilford, said the monitor program was being reorganized to make it more efficient and that the provision continues the effort to eliminate state rules and regulations that are more stringent than federal rules. Blotnick said environmental organizations made the case that haze monitors and those for chemical emissions that don’t have federal standards would have been lost under the plan since they track things not explicitly covered under federal law. Bill Eaker, coordinator of the Asheville-based Clean Air Campaign, said the array of monitors in WNC is essential to get an accurate picture of air quality in a complex region. He said it’s important in a mountainous region to have monitors at high and low elevations. Losing the region’s monitors, he said, will make it difficult not just to monitor air quality but also to study long-term changes. “It would constrain the data that’s needed to understand conditions and trends,” he said. Map via the Southern Environmental Law Center. Click to view full-size image. The House regulatory bills, including the revised environmental provisions have yet to be taken up by the Senate. While the two sides are in disagreement over the air quality monitor issue, there is concurrence on others. Both chambers have endorsed provisions that would make it more difficult for citizen groups to challenge air quality permits. And both have embraced a revision pushed by home builders to reduce the state’s rules on isolated wetlands, which are small wetlands unconnected to other water bodies. Isolated wetlands are not covered under federal clean water protections. State law requires a permit for development that would affect wetlands of more than one-third of an acre east of Interstate 95 and a tenth of an acre west of I-95. In the Senate version, the threshold is expanded to an acre statewide, a change that analysts say would virtually end protections for isolated wetlands. The House version dials back the proposal to one-third of an acre west of I-95. Some legislators, including Rep. Joe Sam Queen, D-Haywood, have said that’s still not enough to ensure that mountain bogs will be protected. Both chambers have added language calling on DENR to study the potential impact of the change on mountain bogs and report back to the legislature by Nov. 1. Based in the Triangle, Kirk Ross is the capital bureau chief for Carolina Public Press. Contact him at kross@carolinapublicpress.org.